When we first learn to read and write, and are introduced to basic grammar, we learn the most regularly used forms of punctuation such as the comma or the full stop. Somewhere down the line, although I personally don’t remember when, we might be introduced to two other punctuation marks… the colon and the semicolon. But what do these do? I recently did a small test in my office where I asked 5 people if they could tell me what these two marks do and when we use them…. 4 out of those 5 admitted they were unsure, although all correctly suggested they were related to a pause of some sort. The 5th person looked confused and mumbled something about intestines…I am still unsure if they were joking or not! So, what is the difference between these two marks? 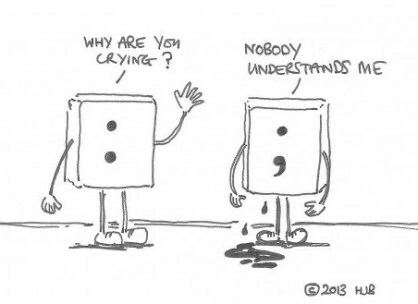 They are known as ‘connective punctuation’ and are actually remarkably simple! This is often a mark of expectation of something that is going to be introduced, usually a definition, example or explanation, or a quote or a list. Normally, the information after the colon is more specific than the statement that precedes it, and whilst the text before the colon must be a complete sentence, it does not have to be followed by one after, one word is fine! Colons imply an addition to a main clause, and so are unnecessary if the information flows naturally. 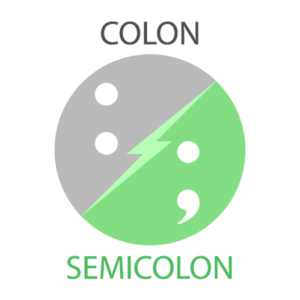 The colon: a useful punctuation mark! I went shopping and bought everything I could that was healthy: carrots, apples, bananas, cabbage, kiwis and nectarines. 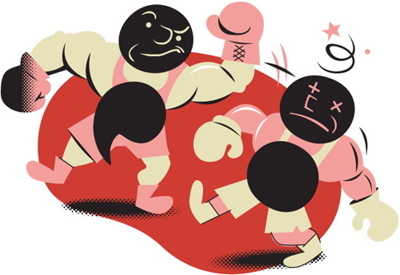 This links related independent clauses, normally emphasising the relationship between them, and replaces a full stop or the word AND when used to connect two clauses. The two clauses that are separated by the semicolon must be able to stand on their own. They are also used in complicated lists that already contain commas. The computer had a virus; all the files were lost. Today for lunch I had pasta, with tomato and cheese; a Greek salad, without the feta; and a yogurt, fat-free of course! It really is that simple! These marks are often mixed up, with a growing number of people using them interchangeably. But beware! They are different and have different purposes, so take care to choose the right one.